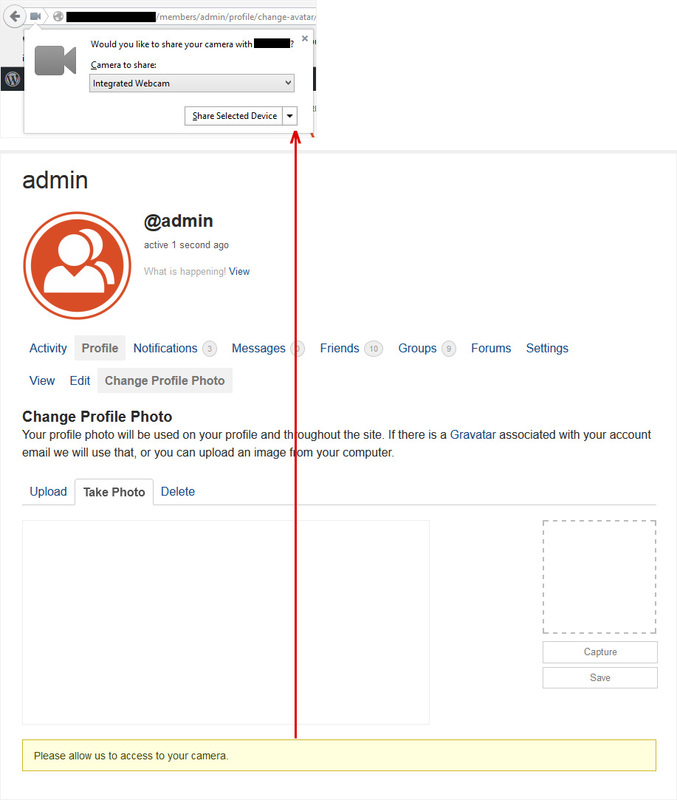 If the email you used to register with a BuddyPress site is associated with a Gravatar.com account, then the image you uploaded at Gravatar.com will be used to represent you throughout the site. 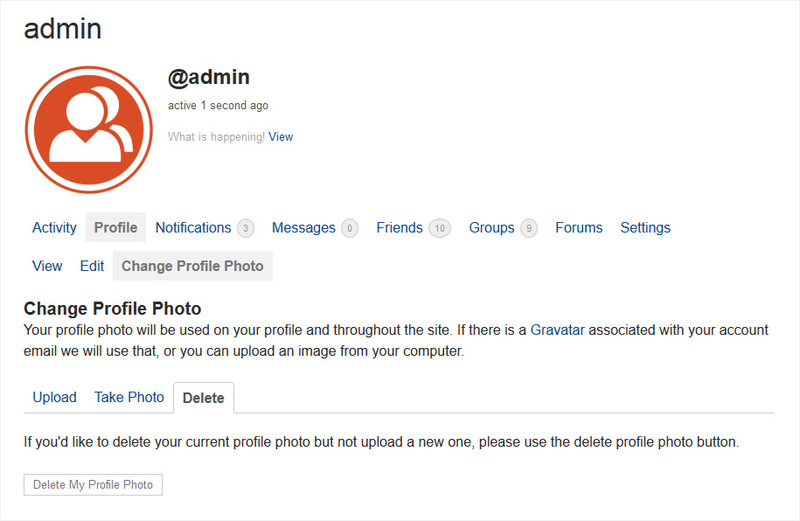 You can change the image by navigating to your Profile → Change Profile Photo page. 1. Upload Tab: Open up the File Upload box by clicking on the “Select Your File” button, choose the image you prefer, crop the image, and save. 3. 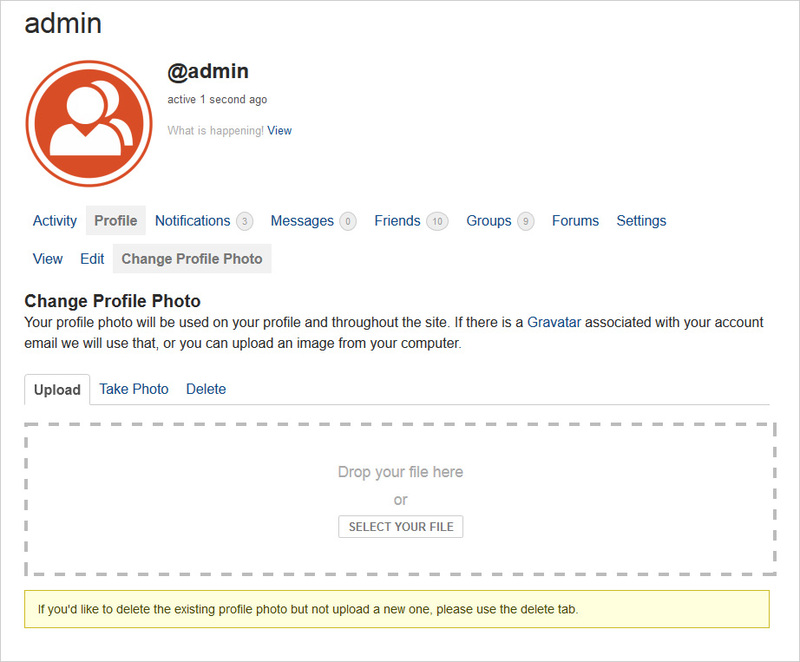 Take Photo Tab (for BP 2.3.0+ only): You will be able to use your computer’s webcam to take your profile photo if you are using a browser which supports getUserMedia. Otherwise, there will a notification on screen that this feature is not available for you at that time. 3.a. Confirm that you’re willing to share your webcam in the dialogue box which shows up in your Firefox or Chrome browser per image below (Firefox). 3.b. When you’re satisfied with your “pose”, click on the “Capture” button and then click on the “Save” button. 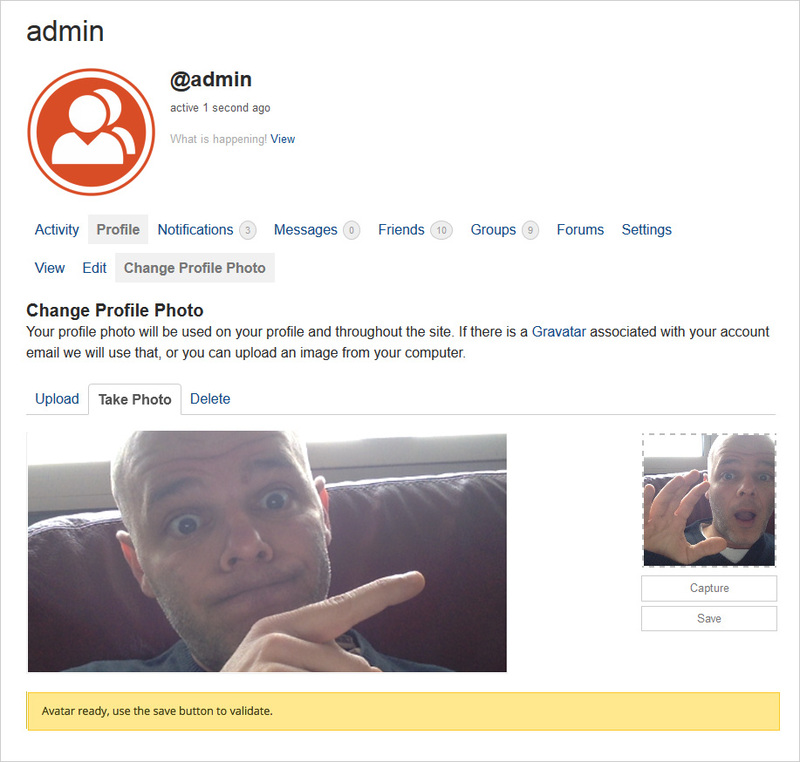 Delete Tab: If you’d like to delete your profile photo but not upload a new one, click on the “Delete My Profile Photo” button.